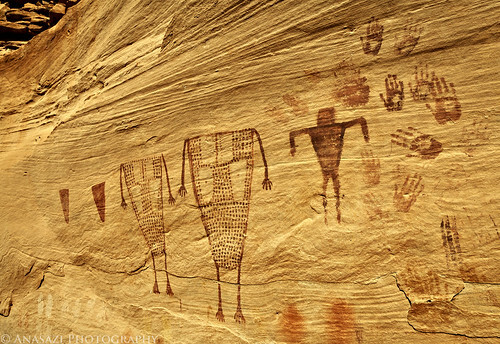 The Green Mask Alcove in Sheiks Canyon contains many fine basketmaker pictographs including the well-known Green Mask. It also contains a large panel known as the Breech Birth Panel. This is a section of that panel containing many handprints and a few large-sized anthropomorphs.